↑ 1.0 1.1 1.2 1.3 1.4 1.5 "HYUNDAI MOTOR 2016 FAST FACTS". ↑ "HYUNDAI MOTOR 2015 FAST FACTS" (PDF). 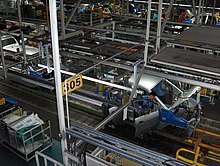 hyundaiproductinformation.com/. ↑ Steers, Richard M. (August 21, 2013). "Made in Korea: Chung Ju Yung and the Rise of Hyundai". Routledge.